Babs Beauty Life: Fashion Wednesday #3: Friday night Girlz Night. Hey Beauty ans Life lovers! Last friday I went out for a girls night, and I thought I could show you what I wore. 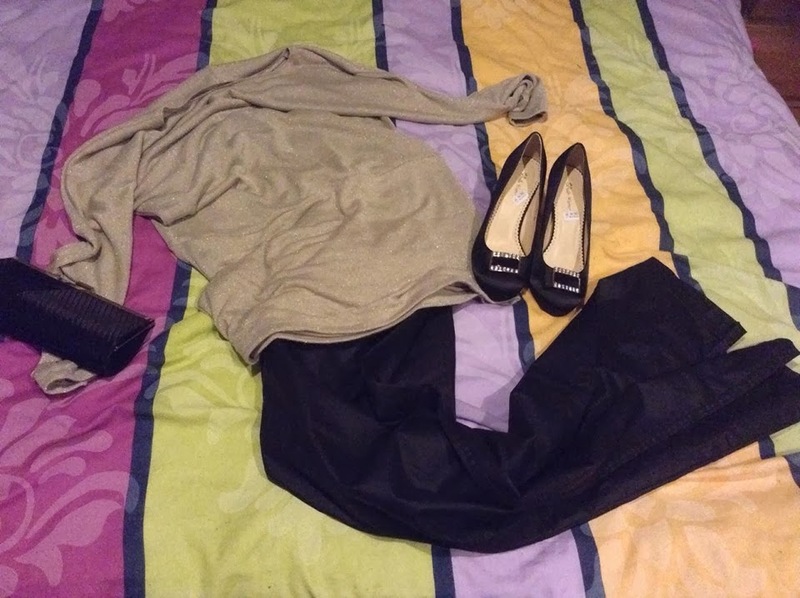 Quite all of it comes from M&S mode, so the top is a golden shimmery tunique and the pants are a "Faux-leather" pair. They have a kind of satin finish and I really loved the golden buckle detail. 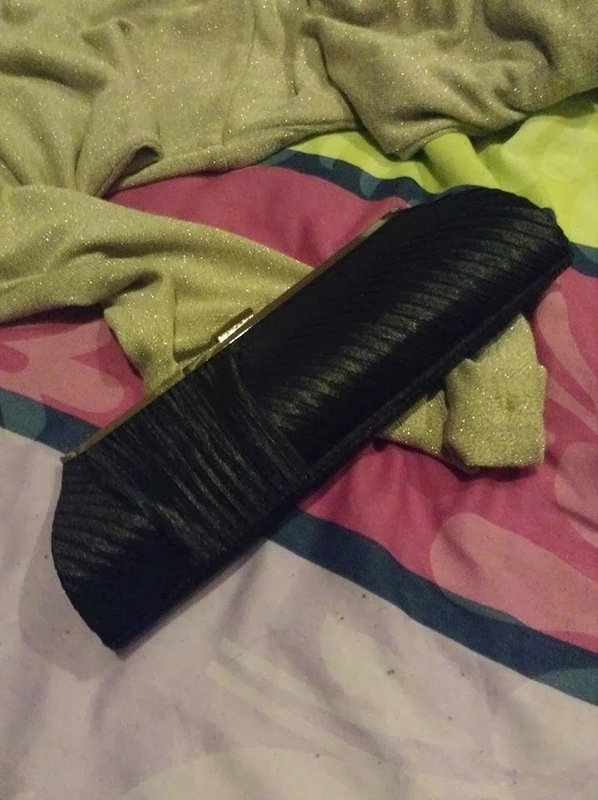 The clutch is also from Pronti and has also a Satin finish. You cannot have much in there, just your phone, some money your ID car and your driving licence. But it was only for a night so it doesn't really matter. Here the outfit on me. I will add a black belt next time, but I couldn't find a nice one so I went for the "No-belt" style. Have a wonderful day my loves! 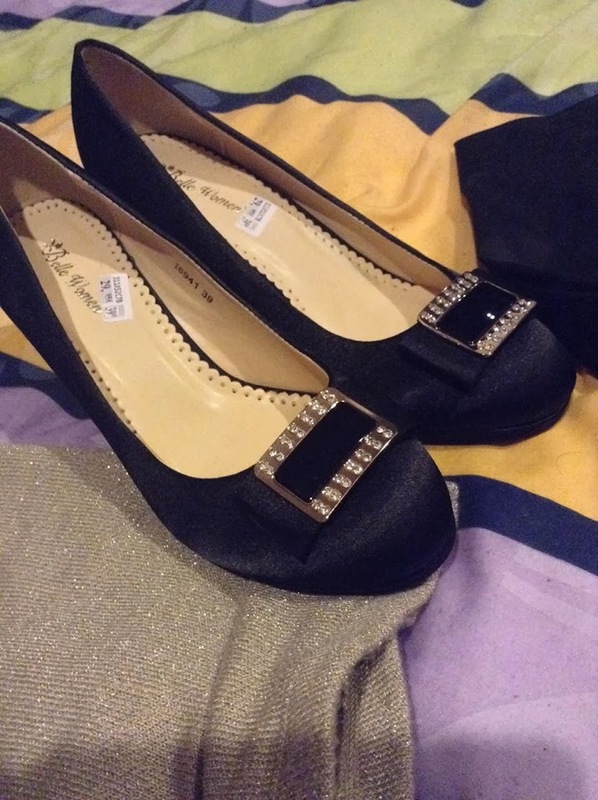 19,49€ at "Pronti" ( shop where you can find shoes between 10 and 40 euros).